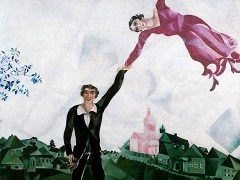 In 1933, the Nazi party came to power in Germany on a platform that, among other things, openly espoused hatred against Jews and called for their repression and removal from Germany. 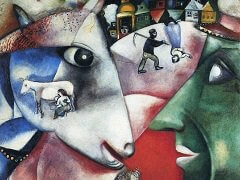 Germany, however, was far from being the only country to have such a change. Eastern Europe, where there was a historically large population of Jewish people, anti-Semitism was a recurring problem that intensified every few decades before dying down again. 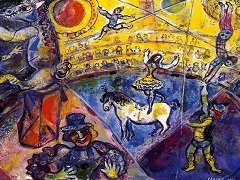 The 1930s saw another such cycle in that area of the world and Chagall, as an Eastern European Jew himself, with many friends and family in those countries, felt this rise of anti-Semitism strongly. 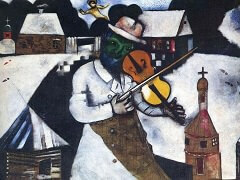 In 1934, while in Warsaw, Poland, Chagall witnessed one of his friends assaulted in the street for his religious beliefs. 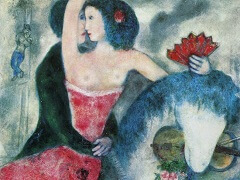 In 1937, the Nazis confiscated 59 of Chagall's paintings then on the territory of Germany and showed them as part of an exhibition entitled Degenerate Art (Entartete Kunst). 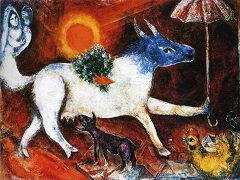 The painter's response was to attempt to reconcile the two conflicting religions, Judaism and Christianity, through art. 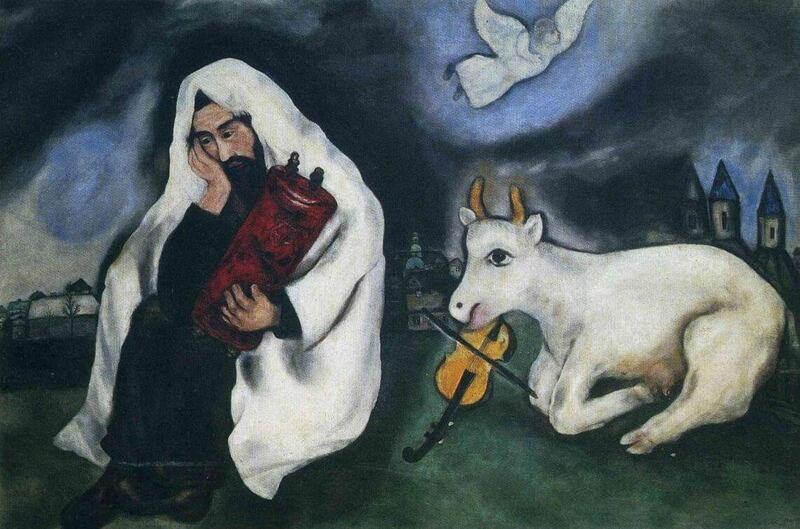 In Chagall's painting Solitude (1933), he depicts the profound sadness and pain felt by the Jewish people in the brewing storm.